Seychelles will make land available for the construction of a Pan African shipping line head office which will be the centre for all ship owners in Africa, and act as a hub for all activities related to the maritime sectors. President Danny Faure made this breaking news announcement yesterday morning at the first African Ship-owners Association summit. The head of state was the chief guest at the opening ceremony of the summit which is being held at the Savoy Resort & Spa in Beau Vallon. Also in attendance were Vice-President Vincent Meriton and other guests which included representatives of 19 African countries and numerous high officials of shipping enterprises on the continent. President Faure said he welcomes this summit, where delegates will consider the next frontier of Africa’s economic development and well-being: the Blue Economy. “The time is now for us Africans to grow our market share, and invest in maritime sectors and tap into the economic benefits that can be derived from Africa’s blue economy. This summit provides an ideal platform for interaction, information sharing, and exploration of ideas on how the African shipping and maritime sectors can be developed further and achieve a higher yield for our continent,” said President Faure in his address. President Faure also stressed on the importance of the present summit which he says is a prime opportunity for all of the stakeholders to gather their collective efforts towards “adjusting our sails” and capitalise on the opportunities that exist within the maritime industry in Africa and beyond, for the benefits of the African continent and its people. He made it very clear that the blue economy concept is the most appropriate path in the exploitation of the resources of our oceans. “It is a well-known fact that the ocean covers two thirds of the world’s surface and has a direct impact on the economies of many countries. The African continent is the second biggest continent in the world, with a total coastline of over 26,000 nautical miles, including its islands. 38 out of 54 countries on the continent are either coastal or island states,” pointed out President Faure. He went on to quote the example of Seychelles in this endeavor to tap all resources available to it in a very sustainable approach. He stated that despite being a small island state, Seychelles has much to share with our African counterparts. The president said that with a shortage of land but with its vast economic exclusive zone, the country had to venture towards the sea in developing Seychelles into the high-income country that it is today. He mentioned that Seychelles’ story is a prime example of the necessity to explore all avenues of investment in the maritime sector. President Faure took as example the highly developed fishing industry and more particularly the tuna fishing industry which constitutes a pillar of the Seychelles’ economy with the tuna canning factory being the largest single employer of the country. This forceful fishing strategy was backed up by a vibrant fuel tanker fleet and he added: “In our quest for diversification of our maritime economy, Seychelles invested in a total of six fuel tankers over the years. 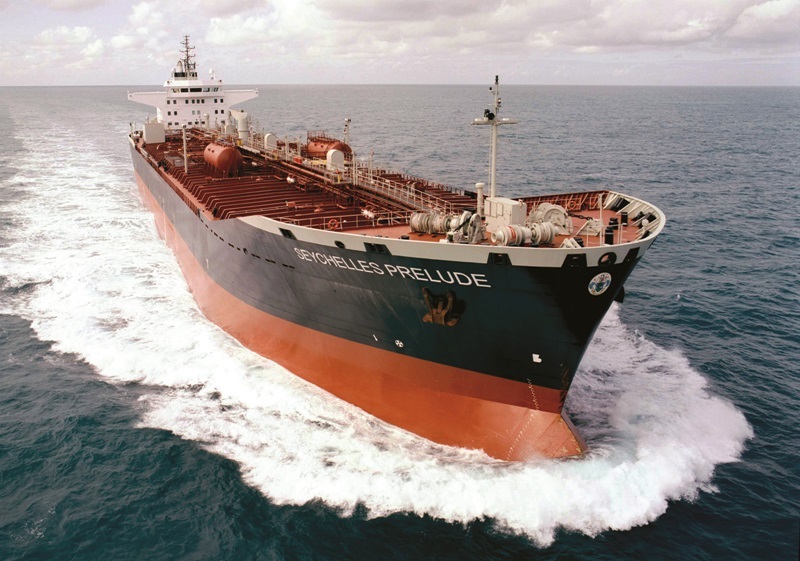 Today, Seychelles has fully recouped its investment in the acquisition of the six tankers and is now generating profit which is boosting the country’s revenue stream”. The president urged the delegates to learn from each other and leave with additional knowledge, insight and inspiration on how Africa can implement policies and action plans in each respective countries to derive the maximum benefits from the maritime sector and he concluded that “we cannot direct the wind but we can adjust our sails”.